Jönköping International Business School (JIBS) is one of four schools within Jönköping University. We offer an international and team-oriented workplace with competitive education programmes, across Bachelor, Master and Doctoral levels, as well as a thriving research environment and many opportunities for personal development. Our mission is to advance the theory and practice of business, with specific focus on entrepreneurship, ownership and renewal. Our guiding principles are international at heart, entrepreneurial in mind and responsible in action. JIBS is double-accredited, by EQUIS and AACSB. JIBS is looking for a Full Professor/Senior Associate Professor in Business Administration (or equivalent) with focus on strategy and/or entrepreneurship including family business. We offer an internationally leading academic environment within our focus areas entrepreneurship, ownership and renewal. The new Full Professor or Senior Associate Professor is expected to lead and contribute to the overall development of JIBS in one or more of these areas, with a specific emphasis on strategy and entrepreneurship. The successful candidate will be an important contributor to education, research, and service activities at JIBS. We are looking for ambitious and motivated candidates that demonstrate excellence in research and teaching with a track record in internationally impactful research, attracting external funding and engaging with different stakeholders. Experience from and interest in leading research projects with impact on practice is important. To fit the position, the candidate embraces diversity and collaboration and is willing to join current activities as well as develop and lead new initiatives. To thrive in the position as Full Professor/Senior Associate Professor at JIBS you should be an individual who sets high goals, works hard to attain them and is driven by results. You are a person who genuinely enjoys cooperation and to build and maintain relationships with colleagues, students and surrounding stakeholders. You also show ability to consider the larger perspective and to think long term. Fluency in written and spoken English and ability to teach and examine courses using English is a prerequisite. have experience of building sustainable relationships with practitioners and society at large. 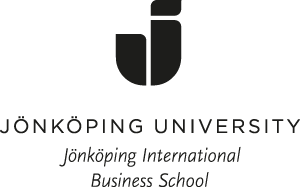 For full eligibility requirements for a position as a Full Professor or Senior Associate Professor see "Appointment Procedure at Jönköping University"
experience of leading international research projects. The recruitment is essential for JIBS to reach its high ambitions of impact, relevance and collaboration. You are expected to contribute to a dynamic academic environment, including being present at JIBS. If the applicant is from a discipline other than business administration it is important that the candidate clearly outlines the relevance for strategy and entrepreneurship of her/his research and teaching, as well as how the applicant’s discipline background can enrich the teaching, research and outreach activities at JIBS. Focus will be placed on the person’s aptness to the organization. The position is full-time and permanent. The starting date is to be negotiated. a description of your future research focus. Deadline for applying is June 23, 2019.